For the readers and the crafty, here is my second last Gift Guide. 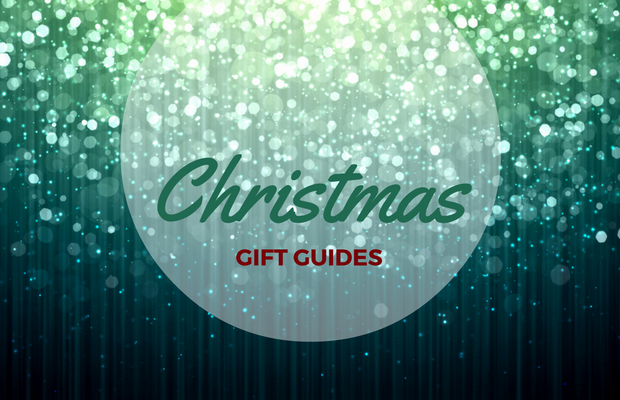 Keep your eyes peeled for the last Gift Guide …it’s a ripper! Twisted Tales by author Liz Braswell are aimed at readers 10+. Once Upon a Dream is an alternate take on Sleeping Beauty – what if the sleeping beauty never woke up? With a dragon defeated, a slumbering princess in a castle and a prince poised to wake her, a fairy-tale ending seems certain. But when the prince falls asleep as his lips touch the fair maiden’s it’s clear that this fairy tale is far from over. After binding her soul to the curse, Maleficent now lives on through Princess Aurora’s dreams, controlling the princess and everyone asleep with her. For Aurora to break the curse, she must find a way to control her dreams and defeat the evil fairy within them. For only then can the sleeping beauty finally wake up and find her happy ever after. 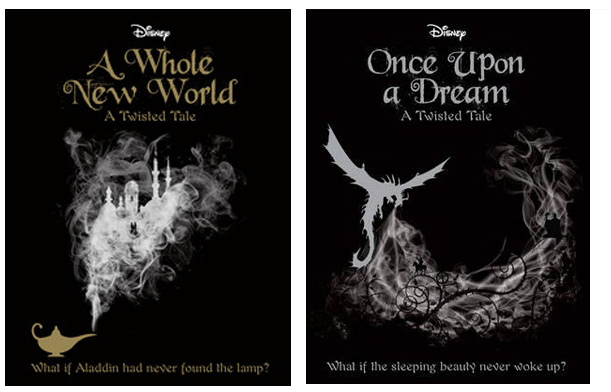 Experience the second title, Disney Once Upon a Dream: A Twisted Tale, in a thrilling series that puts a twist in much-loved tales, exploring what would happen if key turning points did not work out as planned. In A Whole New World you’ll read a different take on Aladdin, which looks at what would have happened if Aladdin never found the lamp. This isn’t the story you already know. This is a story about power. About revolutionaries. About love. And about one moment changing everything…What if Aladdin had never found the lamp? The first in a thrilling series that puts a twist in much-loved tales, A Twisted Tale: A Whole New World explores what would happen if a key turning point in the story did not work out as planned. With Jafar in possession of the lamp and determined to break the laws of magic and gain control over love and death, the deposed Princess Jasmine and Aladdin must unite the people of Agrabah in rebellion to stop the new power-mad ruler. But their fight for freedom soon grows costly, threatening to tear the kingdom apart. A Frozen Heart by Author Elizabeth Rudnick is aimed at readers 10+. This is a prequel story to Frozen that tells the story of Anna and Hans. Love is an open door… be careful who steps inside. Anna is a princess of Arendelle. Locked away from the outside world for years, she is desperate to leave her lonely life behind. Her parents are gone, and her sister, Elsa – the only person who might show her love – is cold and distant. Hans is a prince of the Southern Isles. Thirteenth in line to the throne, Hans is desperate to escape the tyranny of his father and older brothers and find a kingdom of his own to rule. Their worlds collide at Elsa’s coronation. At first it seems as if all Anna’s dreams have come true. At last she has found someone to love! But as Hans’s true motivations are revealed, their fairy-tale romance begins to melt away and Anna discovers that love is a more mysterious – and powerful – force than she ever could have imagined. Available at Target, Big W, Dymocks, Independent Book & Toy Retailers. Twisted Tales RRP $16.99 and A FrozenHeart RRP $14.99. For more information the entire range visit Parragon Books. 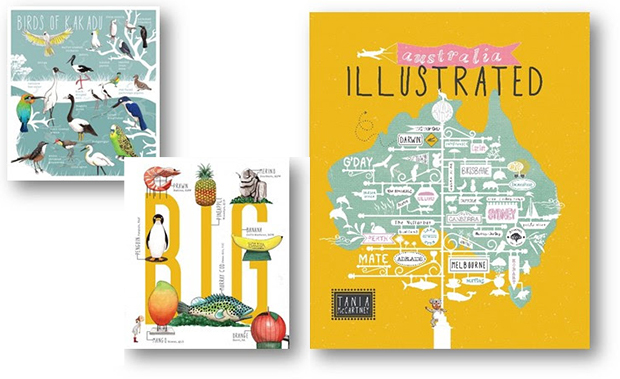 Australia Illustrated by Tania McCartney. Australia. Big. Beautiful. Diverse. From the First People to washing lines and crocodiles, football and sunshine, koalas and akubras, skyscrapers and beaches that squeak, this 96-page picture book is a glorious tribute to this wide brown land and its rich and varied multicultural communities. Whimsical, humorous, high in detail, and guaranteed to delight both children and adults, this is a portrait of Australia like you’ve never seen it before. Grab your snorkel. Let’s dive in! Let’s get crafty with Smiggle! If you love to make things then you will find a whole range of things at Smiggle. From decorating your own headphones or journal to making dreamcatchers and balloon animals. Competition closed. Winners announced soon. 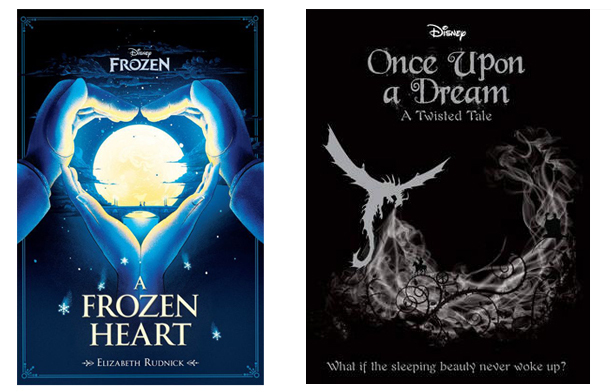 Win one of two Disney Fiction Twisted Tales. I have two Twisted Tales from Disney Fiction to giveaway. There will be two lucky winners who will each receive one of these fantastic books. Competition closes 12 December 2016. Find full T&C’s here. Just received my book. Thanks again. Can’t wait to get reading! I’d change Snow White and make the Wicked Witch change her ways, make her help everyone instead of being jealous! Hansel and Gretel would be live in the edible cottage and be raised by the old lady to become educated and independent. they would then return to their parents whom abandoned them and sflaunt their success and riches! Sleeping Beauty, rather than send her into one deep sleep, spell only broken by the kiss of her one true love, I’d give the poor girl narcolepsy. A whole new spin, turning the tale into a comedy……..for example, she meets her handsome Prince, he goes in for the most romantic of onscreen kisses, and the poor darling falls asleep. Snow White & the Seven Dwarfs, I’d have Snowy fall for Grumpy and turn his frown upside down. They get married, build a cabin of their own next door to the one the 6 remaining Dwarfs live in, and have 6 babies, a Godchild for each of the single Dwarfs. (A Whole new world if I win please). What if the beast wasn’t turned into a beast would he still have fallen in love with Belle. What if Hook defeated Pan? The lost boys all left Neverland! If no one clapped would tinkerbell die, would the darling children learn to fly? Either prize would be a great read! I can’t think of a single Disney movie i would change, because everything that happens, seems to happen for a reason. That being said, i think princess Jasmine would look gorgeous in Pink. I would love A whole new world, please and thankyou. Snow White- the wicked witch would marry the Prince and rule the world. The Little Mermaid, it would be interesting to see what would happen to Ariel if she didn’t get her voice back and Ursula married Eric! I wish The Hunchback of Notre Dame was born a babe and married Esmeralda and they lived happily ever after! (Once upon a dream please). Bambi. The story always made me cry. Bambi’s mother wouldn’t die. She’d raise Bambi and frown over his crazy antics growing up. Sleeping Beauty with me as the beauty! She sleeps, wakes and never ages. I sleep and wake to more wrinkles and hair that’s more grey! Hi Aynur, If you won which Book would you prefer?